Downtown Rotana is the latest five-star hotel opened in the heart of Bahrain’s capital, Manama. Rising amidst the traditional backdrops of the Manama ‘suq’ and the modern skyline of the Kingdom’s central business and financial district, this 26-storey stylish luxury property is the third in the Rotana Group Bahrain-based portfolio, and offers stylish, luxury accommodation and a host of facilities catering to the growing needs of the modern business community and leisure travellers looking to be at the centre of commerce, culture and entertainment. Reflective of its name, this newest addition to Bahrain’s flourishing hospitality sector, is ideally situated in downtown Manama, less than two minutes’ walking distance from the historical Bab Al Bahrain and traditional local market, only steps away from key corporate hubs such as Bahrain Financial Harbor and the World Trade Centre and a short drive from the country’s largest retail and entertainment outlets. Downtown Rotana is well-placed as a central pivot of movement with convenient access to and from Bahrain’s main entry points – Bahrain International Airport and the Saudi Causeway. Standing high above ground, at 105-meters tall, Downtown Rotana is a perfect blend of contemporary minimalism, urban vivacity and understated luxury, designed to complement the quality and sophistication of Bahrain’s hospitality scene. Boasting refined elegance across its premises, the hotel offers 242 luxurious rooms and suites with floor-to-ceiling windows, panoramic city views and vibrant interiors, all fully equipped with ample in-room amenities and conveniences including complimentary Wi-Fi, high-speed internet connection, 48inch flat screen TVs with multi-channel satellite, and Club Rotana Executive Rooms and Lounge, to name a few. 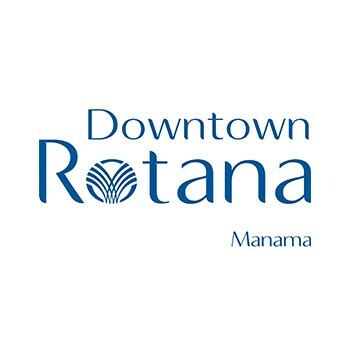 Downtown Rotana brings four new dining concepts to Bahrain’s bustling culinary scene with award-winning ‘Teatro Downtown’ taking centre stage as the hotel’s signature restaurant offering an East-meets-West fusion cuisine, embraced by warm design motifs and ultra-chic interiors. The all-day dining venue - ‘Flavours on 2’ – is a relaxed setting amidst bursts of colour with a variety of succulent delights and international flavours. The ‘City Lobby Lounge’ is a true testament of the hotel’s elegance; featuring striking contrasts of solid wood meshed with subtle palette undertones, accented by the flood of natural sunlight, the lobby is a striking venue and serves a selection of light snacks and home-made pastries and desserts throughout the day. Lastly, the Sundeck Pool Bar, has a variety of snacks and beverages on the menu to keep guests cool and revitalized. The choice of leisure facilities at Downtown Rotana helps guests relax, rejuvenate and detach. The hotel has a rooftop swimming pool, a Bodylines Fitness and Wellness Club with professional instructors and a fully-equipped gym, as well as a sauna, steam-room, Jacuzzi and treatment rooms, all comforts of five-star living. Downtown Rotana truly embraces the needs of the corporate world with its seven state-of-the-art meeting rooms and a spacious, elegantly-designed ballroom with over 300+ capacity. 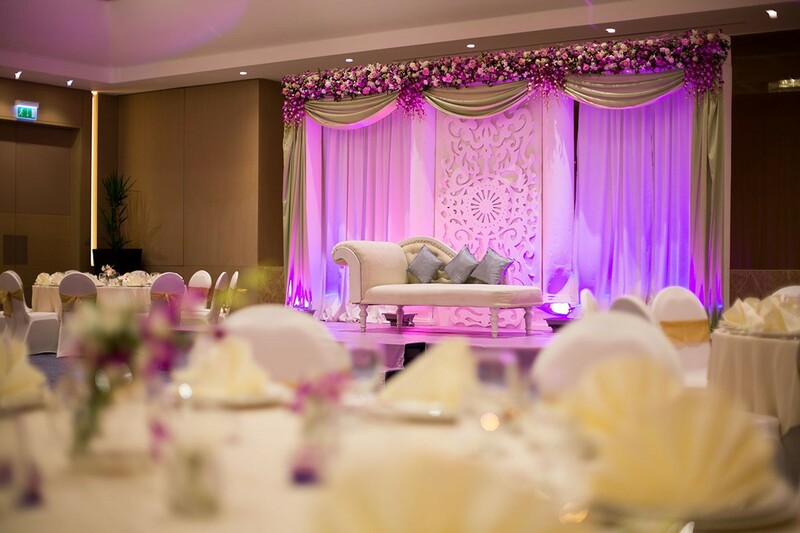 Your perfect wedding venue at Downtown Rotana! Create your own unforgettable memories while you celebrate the day of your life at Downtown Rotana! 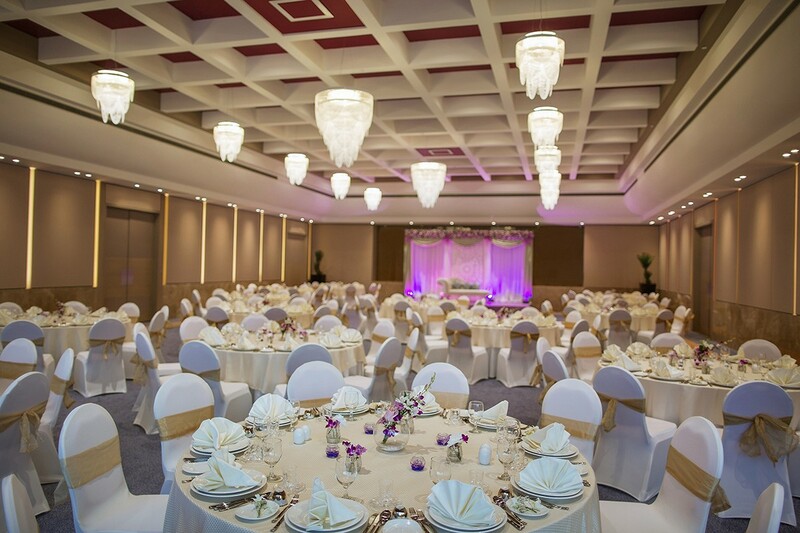 Make Downtown Rotana your wedding venue and have a sophisticated event at the elegant and modern Al Maha Ballroom, complete with pre-function area and VIP majlis. 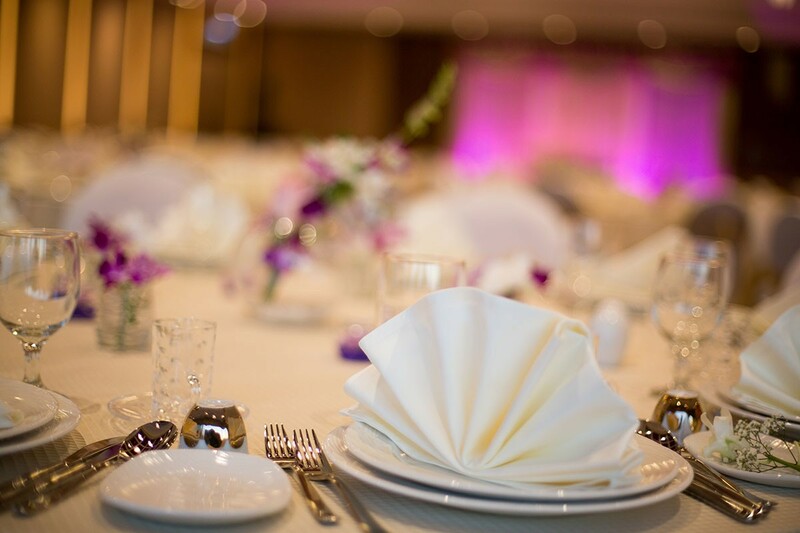 Choose one of the various wedding packages with incredible menu options and services during your ceremony. All wedding packages include luxurious accommodation for the couple, bridal dressing room, special room rate for the couple's family and friends, superb options for the buffet, artistic wedding cakes, choice of linen, stage, valet services and much more.